Days after US portal ‘The Cut’ in an article called Bollywood actress Priyanka Chopra a 'modern day scam artist', Mariah Smith, the author of the article, has apologized to the actress saying, 'I take full responsibility for what I wrote, and I was wrong. I am truly sorry'. Taking to Twitter, Smith wrote, "I want to sincerely apologise to Priyanka Chopra, Nick Jonas, and to the readers I offended and hurt with my words. I do not condone racism, senophobia, or sexism. I take full responsibility for what I wrote, and I was wrong. I am truly sorry". This comes after Chopra reacted to the published article saying, 'these kinds of random things can't disturb her'. "I don't even want to react or comment. It's not even in my stratosphere. I'm in a happy place at this moment. These kinds of random things can't disturb it," Chopra told media in Delhi. Earlier, Nick Jonas' brother Joe Jonas took to the twitter and said, " This is disgusting. The Cut should be ashamed to have someone write such evil words..."
Sophie Turner, who is engaged to Joe, slammed the article on Twitter, calling it "wildly inappropriate". In an article published on a web portal -- The Cut, actress Priyanka Chopra was called a "modern-day scam artist" with whom husband Nick Jonas shares a 'fraudulent relationship against his will'. The Cut is a website that is brought out by the New York magazine. The article written by Mariah Smith is titled "Is Priyanka Chopra and Nick Jonas' Love for Real?". "Priyanka Chopra is a superstar. She’s stunning, talented, and recently took on the Jonas surname. It seems that she has it all — well, if “it all” includes marrying someone related to Kevin Jonas. But there’s something that not many people know, or choose to accept, about the global sensation that is Priyanka: She is a modern-day scam artist, in my opinion...," the article reads. One of the portions of the article also read, "All Nick wanted was a possible fling with Hollywood’s latest It Woman, but instead, he wound up staring straight at a life sentence with a global scam artist." "Even more upsetting, she's a scam artist who never even took the time to make sure he was comfortable riding a horse before arranging for him to enter their wedding ceremony on horseback," Smith wrote. The article also calls Chopra a "money-minded celebrity who calculatingly married Nick Jonas thinking it as a powerful move towards her career." Terming the content of the article racist, sexist and ageist, the netizens on Wednesday slammed the website and the author for publishing such an article. Christ. First the @Into hatchet job on Ariana Grande's 'transphobic' music video, now @TheCut's racist, sexist piece on Priyanka Chopra. It's a bad day for journalism [I use this word lightly here] when social media has to sub your work. However, after receiving flak from the Twitterati, the portal deleted their tweet. Actor Sonam Kapoor also came out in defence of Priyanka and termed the article as "sexist, racist and disgusting". "For a publication that 'shows women’s what they are made of' @TheCut has a lot to answer for. The article on @priyankachopra was sexist, racist and disgusting. Also it’s written by a woman which is so sad. It reeks of envy and bitterness. @mRiah shame on you!" she wrote. Singer Sona Mohapatra tweeted, "Deeply disgusting. To character assassinate a hardworking, driven, achiever like Priyanka Chopra in this warped, petty manner & for @TheCut to publish such a low-brow piece is the lowest of the lows. 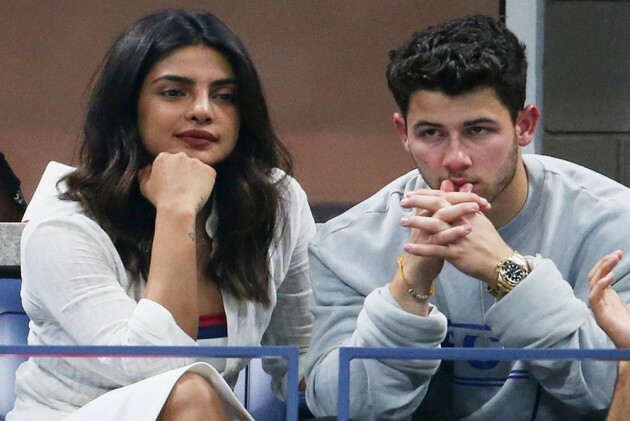 'Priyanka’s plan to make this Nick Jonas opportunity her forever b***h' ?!!? Sick." Actor Swara Bhaskar said, "Depressed with the state of the world and current affairs? Here is some good old-fashioned puerile filth published by TheCut to add some pointless venom to your day. Also, someone invites Mariah to an Indian wedding, might assuage some of her misguided angst! Yellow Journalism." "An earlier story about Priyanka Chopra and Nick Jonas did not meet our standards. We've removed it and apologize," The Cut wrote on its official Twitter handle. The website had earlier updated the article, removing all the objectionable mentions to Priyanka. Nick and Priyanka got married in a fairytale wedding at Umaid Bhawan Palace, Jodhpur. On December 1, they had a Christian wedding, and on December 2, they had a Hindu wedding ceremony.